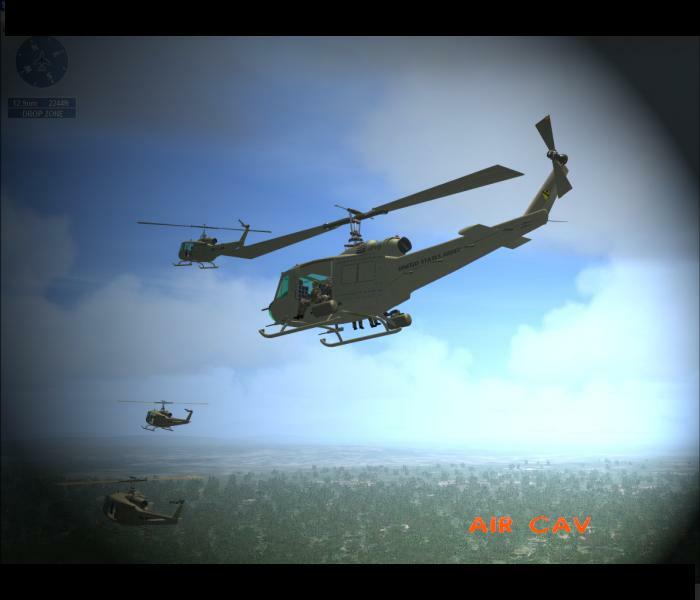 Based on huey helicopter combat in Vietnam. 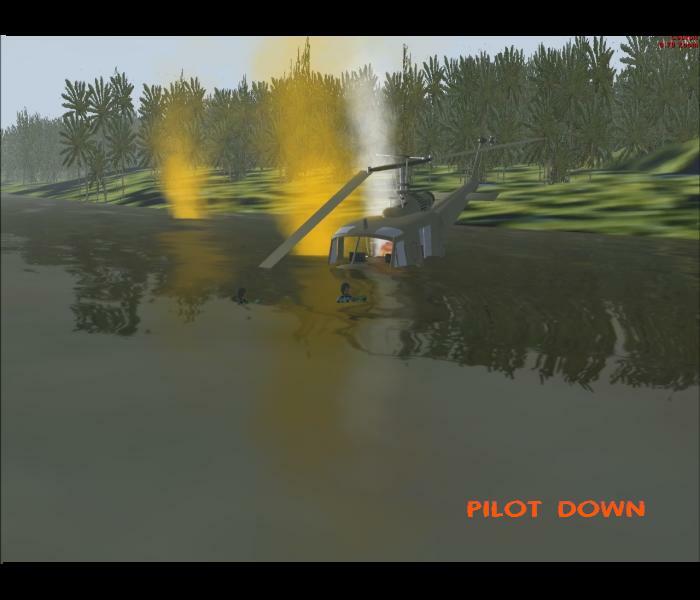 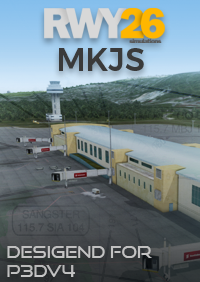 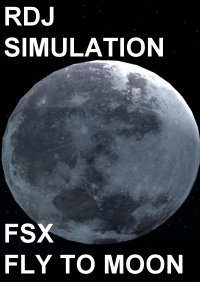 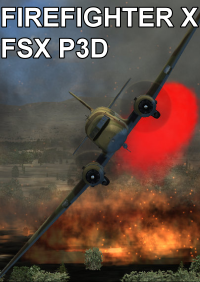 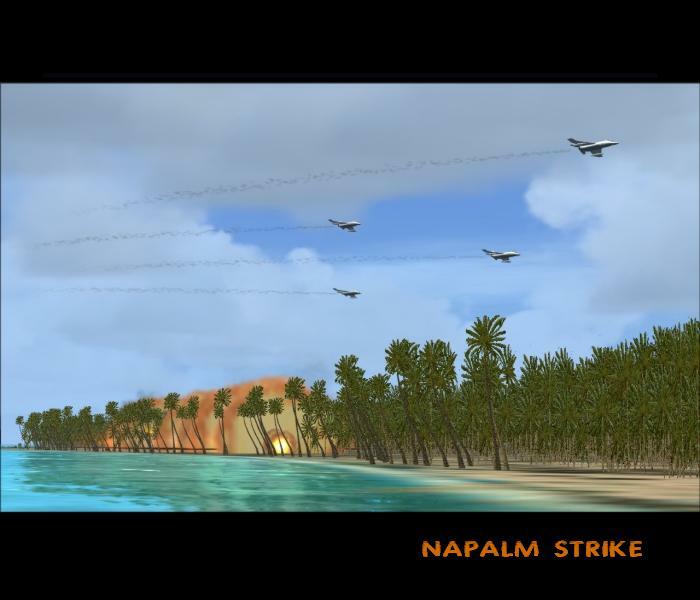 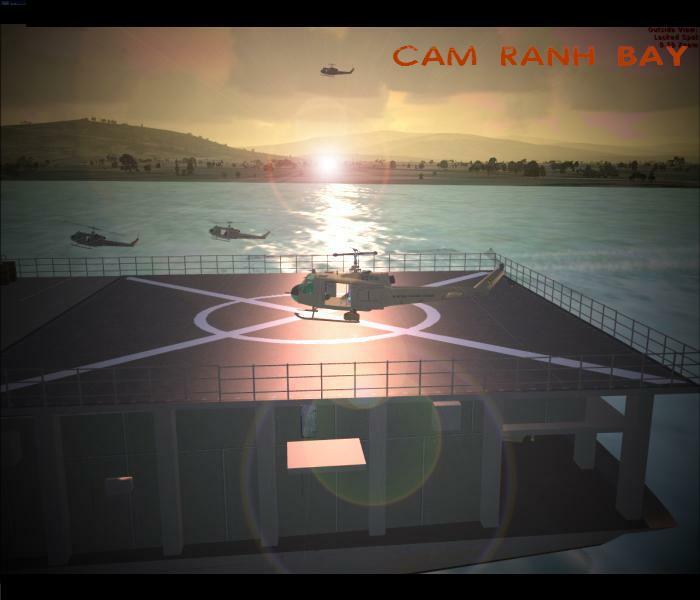 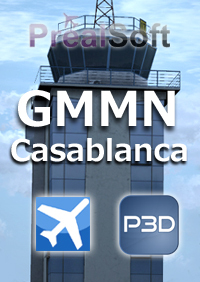 Welcome to the NAM in this intense FSX combat simulator addon. 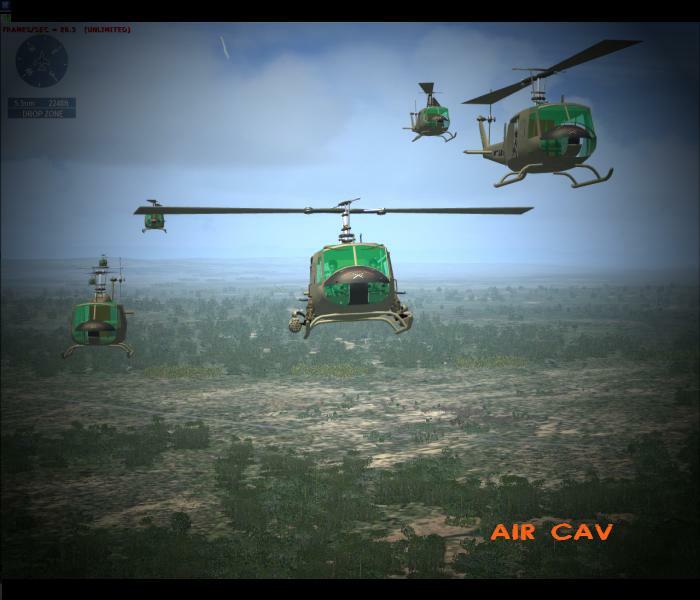 You will fly with tons of other AI huey helicopters tear flyi'n around Vietnam looking for the stuff! 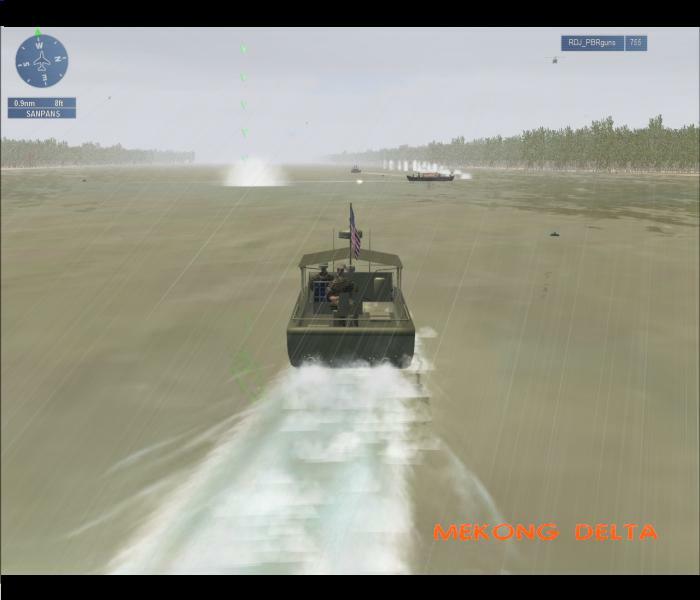 Just like participating in a vietnam movie with onboard rockets and mini guns blowing up huts and jungle while dogging enemy rocket fire and flak. 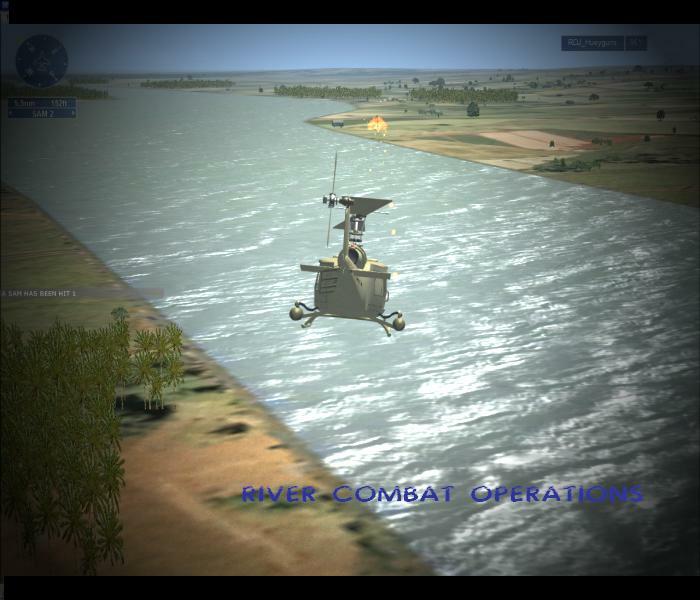 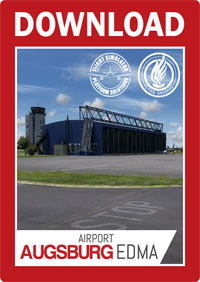 Includes 15 missions with one of them for multiplayer. 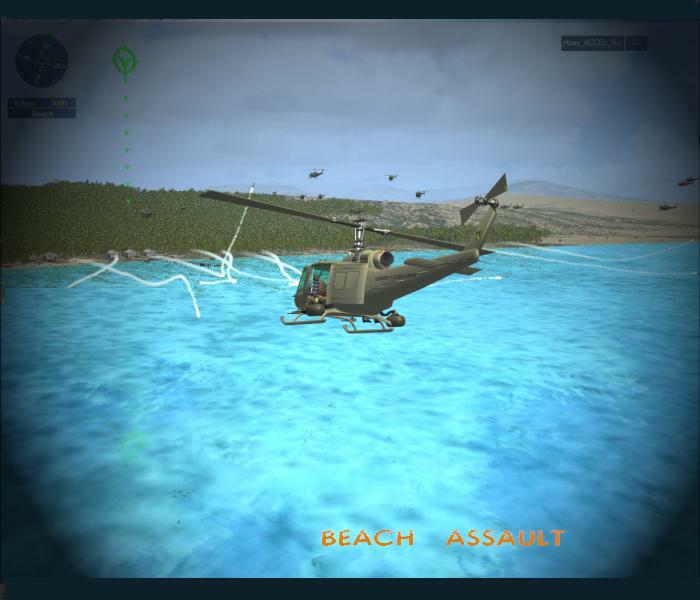 From beachead assaults to forward operating bases. 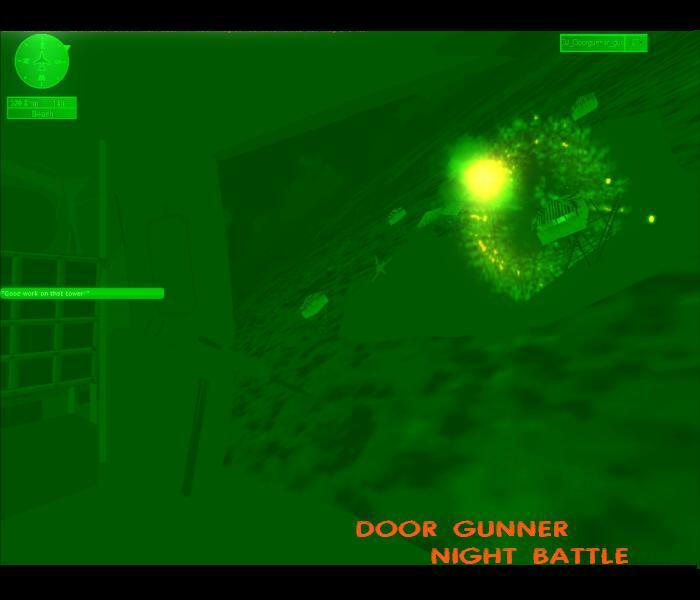 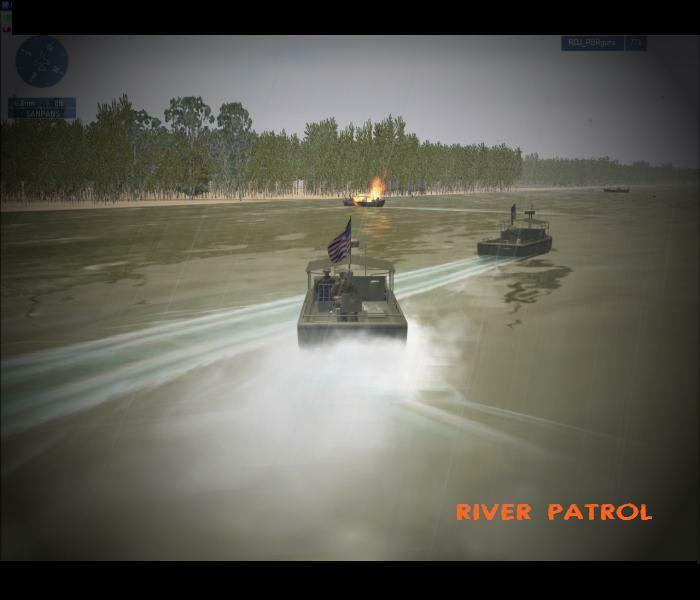 Even some PBR patrol boat missions are included where you blast your way down river with 50 caliber guns dodging mines,torpedoes and even killer crocodiles and village savages. 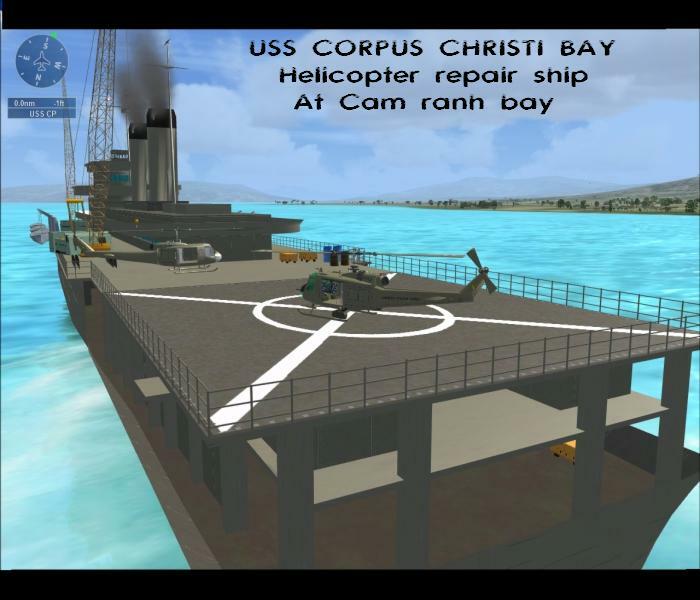 The USS Corpus christi bay helicopter carrier is also included for carrier ops at Cam ranh bay. 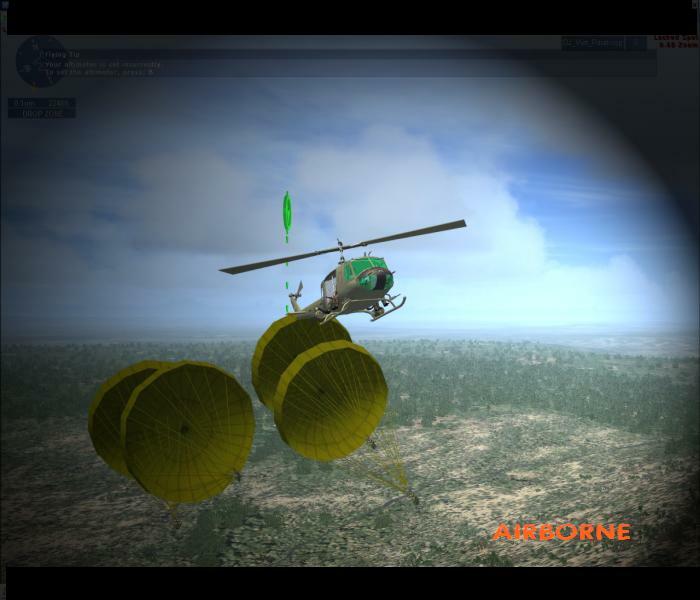 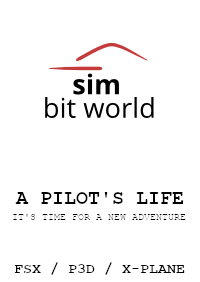 Information is included on how you can use your own favorite helicopter in the game too. 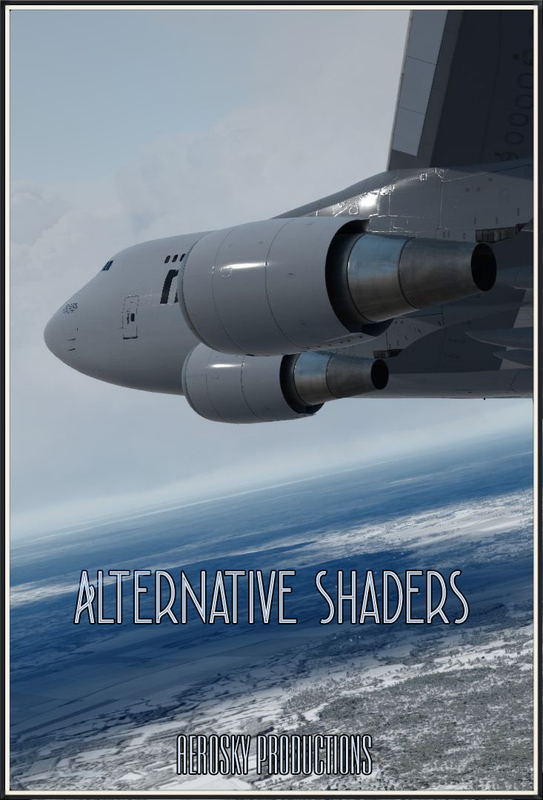 Includes over 70 peices of audio and tons of custom effects. 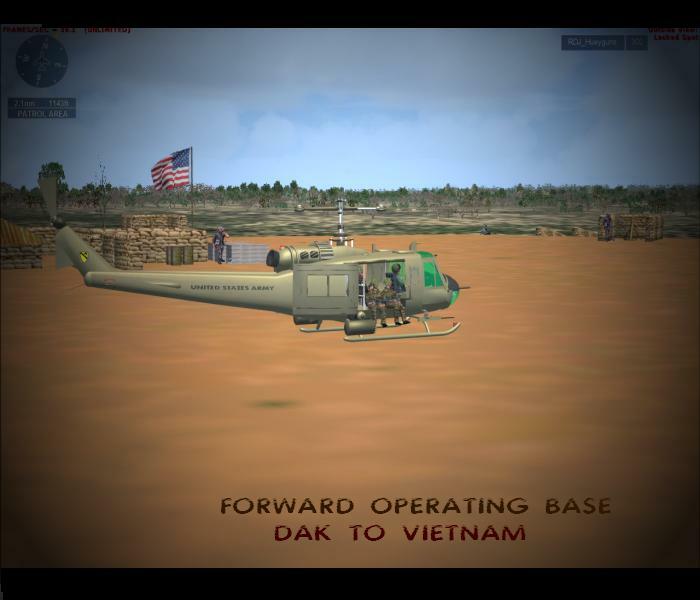 The setup is run by a simple installer and you are ready to go tear'in around Nam! 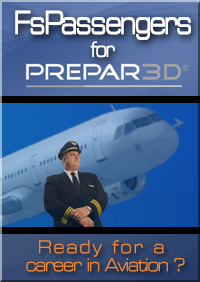 Requires Acceleration Expansion or FSX Gold to be installed.